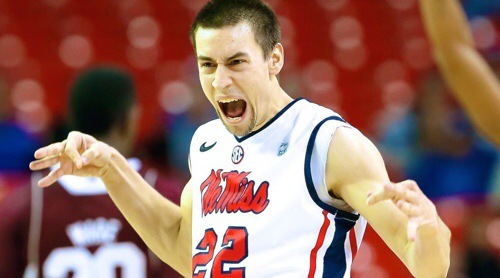 The unfiltered personality of outgoing Ole Miss guard Marshall Henderson is part of what made him such a polarizing player on the hardwood. Henderson’s impulsive behavior resulted in a strange Twitter rant after the St. Louis Rams selected Missouri’s Michael Sam in the seventh round of the 2014 NFL draft Saturday, making him the first openly gay player drafted into the league. At first Henderson’s series of tweets displayed bigotry and ignorance, but then he claimed it was for a friend’s psychology project.